This service is ONLY available for our customers in the USA and Germany ! 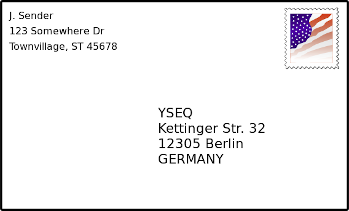 This is a stamped return envelope for shipping one (1) YSEQ sample kit to our lab in Berlin, Germany. 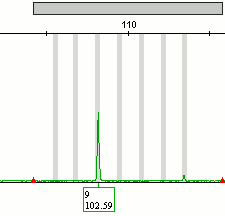 Please take your samples as described in the kit and put them in the return envelope. Mail it as you would any first-class letter. The shipping service will be provided by USPS and Deutsche Post and it isn't trackable. A customs form is usually not required. Shipping takes approximately 1-2 weeks from the US. Max. length 11-1/2", height 6-1/8", thickness 1/4", weight 1 oz (28 g). First class international postage is currently $1.15 for the aforementioned size and weight.